The all-female W Series championship has announced an 18-driver roster for its inaugural season in 2018, following a final selection test at Almeria. Former F1600 champion Ayla Agren admits her racing career could be over after not making the cut for the next round of qualifying for the inaugural W Series season. Carmen Jorda has explained why she will not to taking part in the new W Series this year, despite appearing on the original shortlist of candidates. Australian W Series hopeful Charlotte Poynting has questioned the judging process after missing out on a spot in the final 28. 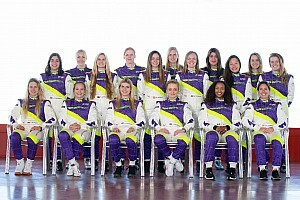 The new all-female W Series has revealed the 28 drivers through to the next stage of its selection process, after three-days of intensive assessment in Austria. 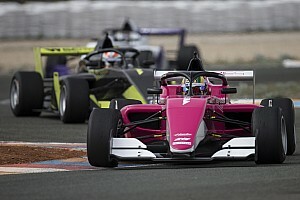 W Series' critics accuse it of promoting gender segregation in motorsport. But with such a massive disparity to address and decades of male dominance, waiting for change to happen organically isn't good enough. At number 19 on our annual countdown of the biggest stories in motorsport, it's the launch of the new championship that's already ruffled feathers without having hosted a race: the all-female W Series. The all-female W Series will rely on frontrunning Formula 3 outfit Hitech GP to operate its cars in its 2019 campaign, it has been announced. Two Canadians appear on the list of 55 contenders for a spot on the 18-driver grid for the inaugural all-female W Series. The all-female W Series has released a list of 55 contenders for a spot on the 18-driver grid for its inaugural campaign next year.